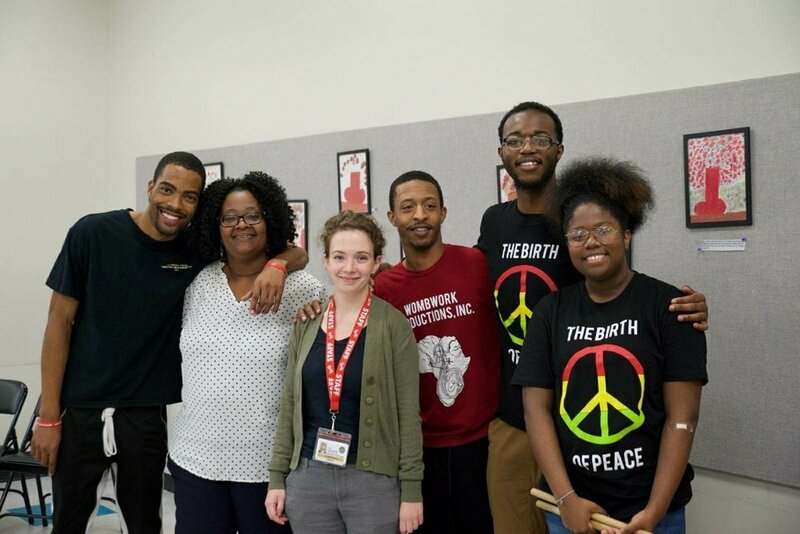 Nu Generation's Intergeneration Complications: Finding Common Ground — WombWork Productions, Inc.
Saturday, November 10th was an exciting day for The Nu Generation Art Ensemble. This day marked the resurrection of WombWork Productions, Inc. teenage company with a performance at The Enoch Pratt Waverly Branch library. Our teenage performers prepared their show entitled Intergeneration Complications: Finding Common Ground in an attempt to spark a conversation with the elders about how to bridge various generational gaps. From the funny moments of the generations arguing about who had better musical taste to the serious scenes about elders not respecting the dreams of the youth; the audience was deeply engaged from the opening drum roll. Our show ended with the performers asking the audience if they could work together to solve these conflicts and the audience answered with a resounding “YES!”. 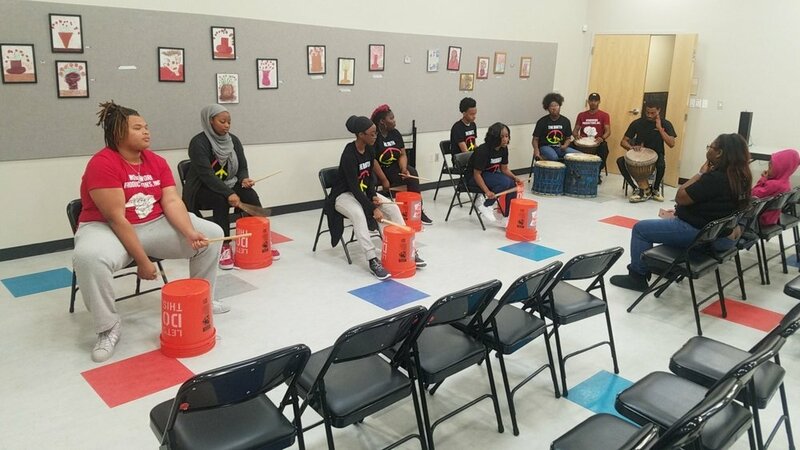 The Nu Generation Art Ensemble was energized from this performance and will continue to produce the stories that give voices to the youth of Baltimore!